- Stell-welded frame, high rigidity and less deformation, ensuring the capacity for bearing heavy load. 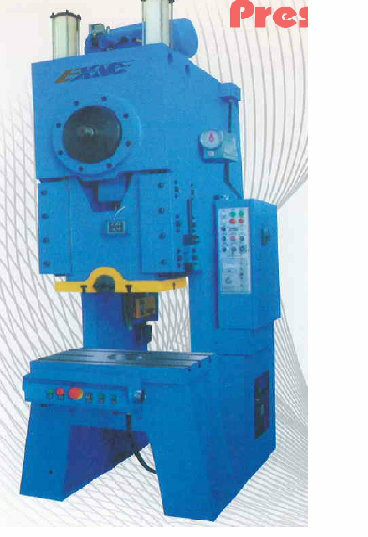 - Adjustable stroke of slide in 8 gears, to meat the punch processing for various dies. - Eight-side long rectangle guides of the slide in high moving precision and high accuracy, extending the service life of the die. - Pneumatic combination friction clutch-brake, low noise and long service life, to ensure reliable safety and flexible action. - Automation oil lubrication system, to ensure smooth operation. -Photo electric protector, feeder, air cushion and other optional accessories are available for the power press subject to the users' demands.